I work in a traditional style shoe shop that sells Clarks among other brands! we had a delivery of shoes that I got quite excited about! Clarks wave are another one of those concept shoes! they make wintery cloggs and ugg boot styles but not a proper shoe! For me Clarks Wave fill that gap! So I got myself a pair! I wore them just to the corner shop and back and they are so comfy! and I’m sure people would jump on the wave bandwagon too! I will let you all know how I got on with them! do you think they are ugly? p.s although I work in a shoe shop selling Clarks I am not affiliated with them in any way, I paid for these shoes out of my own pocket, and decided to blog about them purely because I like them! I don't think they're pretty but i don't think they're ugly either. I wouldn't wear them out but would wear them on walks or to work. I really don't like these on any level at all. 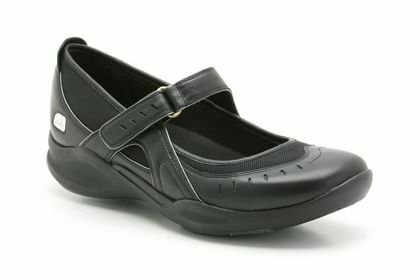 I hear the comfort thing but id rather wear nothing on my feet than these. Fashion over comfort any day. Sorry just being honest. oh lordy no way at all. They kinda look like handicap shoes ? or for old women, take em back love! Jules & Lillian: thanks for the comments girls! not exactly the height of fashion I know, but seriously comfy!Anon 1 & 2 : ha thanks for making me smile, ok so they are a bit on the ugly side but I've seen way worse in this kind of thing! and seriously spending 8 hours on my feet, any comfy shoe is my best friend! okay fair enough comfort at work is important he he.